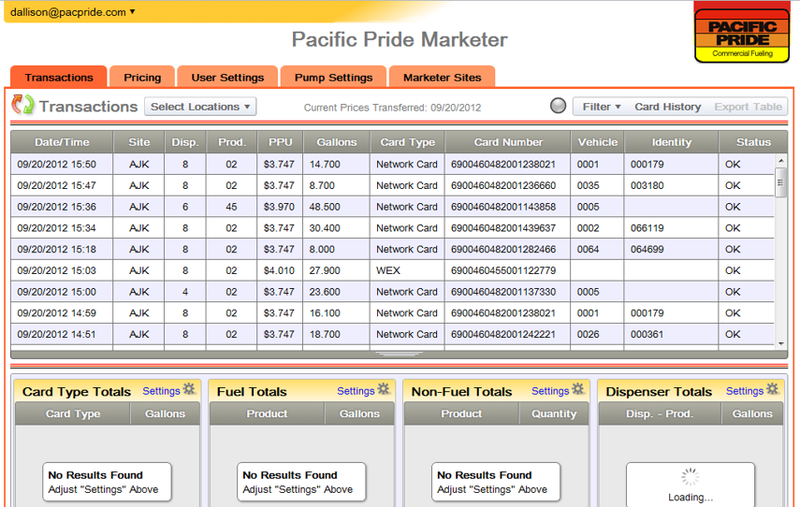 TravStar1 Point Of Sale SystemManager's Work Station GlossaryHow Do I Login to the Pacific Pride Marketer? 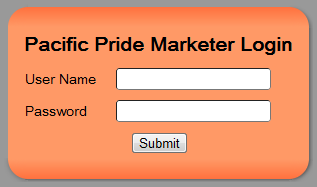 How Do I Login to the Pacific Pride Marketer? Here you will be prompted to enter your User Name and Password. After correctly entering the login credentials, you will automatically be re-directed to the Transactions tab. Prev: What Files Should Be Sent to the Register?